Marc by Marc Jacobs fashion line is holding an online open casting call models and the next face of the brand. The brand is looking for inexperienced, amateur models who may want to enter the world of high fashion. The model casting is using twitter and Instagram to get the photos to the designers that will be making the final decisions. The modeling contest wants models to snap a selfie of themselves and post it onto twitter or Instagram under the hashtag #CastMeMarc. There is no need to attend a go see or check in with a casting director, submitting your photos for consideration is as easy as picking up your cell phone, snapping your fiercest pose and hitting post. Marc Jacobs is an American born fashion designer who is the lead designer on his own brands, Marc Jacobs and Marc by Marc Jacobs. The fashion giant has over 200 stores in over 80 countries around the world. Before starting his own line, Marc Jacobs was the creative director of the French label Louis Vuitton and made the top 100 list of the most influential people in the world. His fashions are worn by the rich and famous all over the world and his fashion shows always attract a large crowd including many celebrities. 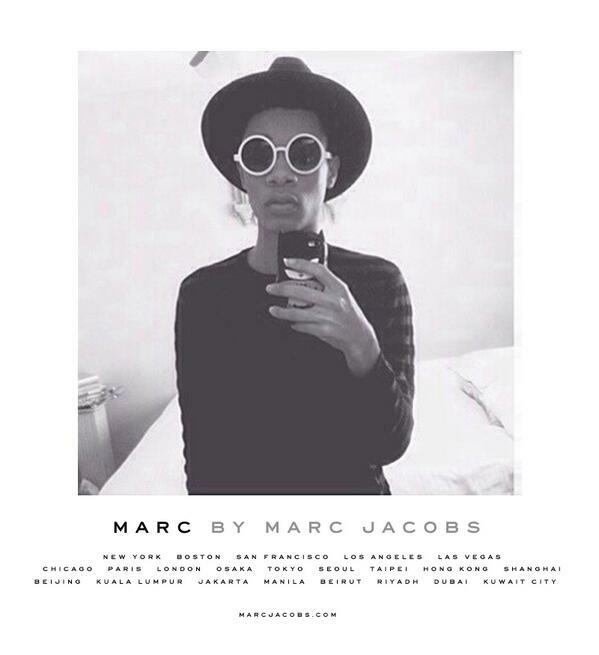 The #CastMeMarc campaign is being led by British designers Katie Hillier and Luella Bartley. Hillier and Bartley are running this show for Marc, apparently, he may be busy designing new fashion at the moment. If your dream has always been to model, here is a chance to have your photo seen by the people who make the decisions on which models to book and they are willing to give up and coming models a shot at the big time. For your chance to be the next “it” girl, or boy for the Marc Jacobs line and the new face of MbMJ, snap your selfie and tag the best shot #CastMeMarc. Be sure to post it to twitter or Instagram for the designers and the world to see. She’s beautiful ! Please contact her ! CONTESTANT #40 @ Bakersfield audition. Her name is AMY RAMIREZ, She has what it takes! My name is Maria, I am 4’5 and I am 12 years old. I have black hair and dark brown eye. I love modelling. I am also a very passionate worker so you will love me on your team. I work and model for a catalogue company but I would like to take this opportunity with working with this big company Marc Jacobs and model with them for I think I will be a great match for it. Finding this casting is just one more reason why I know I was born to model – it’s my destiny! I am currently a model for Expressions by D.S.K in Cambridge, Ontario, Canada. My dream is to expand my talents and become an actress. I am 5’11″, I have blue eyes, blonde hair, I am Aboriginal, and always up for anything! I have always wanted to do something for the Disney Channel! I would like work as a model, let me know please.